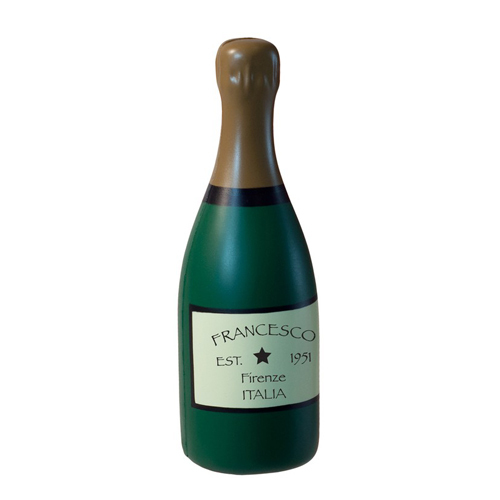 This champagne bottle shape stress reliever is ideal for celebrating a grand opening, promoting a new venue, or New Year s Eve parties! Makes a great way to invite clients and customers! This will also make fun wedding favors! Products are not intended for use by children or pets. They may present a choking hazard to children under 3 years of age. Item Size : 1.5" X 4.5"
Imprint Area : .75" x 1.25"